I’m not even half way through writing my Halloween in the Wilderness 2015 Trip Report, and still have photos to edit, and decide what to use… not to mention all the videos my husband recorded so that I could make short videos. I thought I best get around to making a start, as it’s now 100 days till our next holiday in Florida! 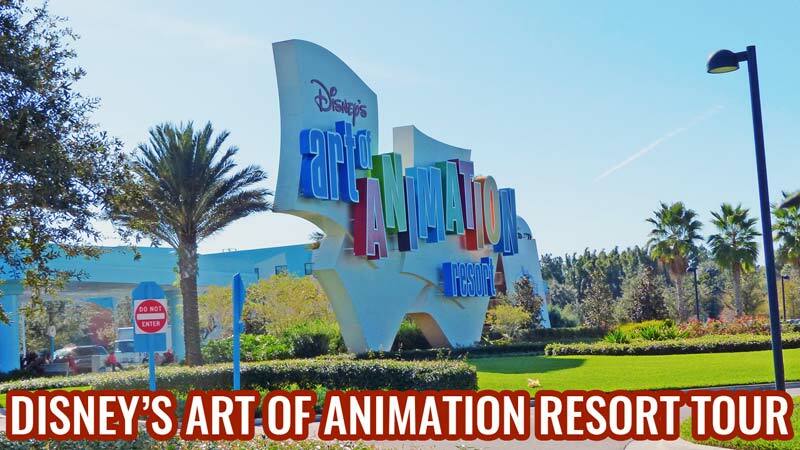 I’m starting with a video tour of Disney’s Art of Animation Resort, where we stayed for a couple of nights at the start of our holiday. It is a really fun family resort, and we wouldn’t hesitate to stay here again! You can see a photo tour of this Walt Disney World Resort in Day 2 of my 2015 trip report – Look At This Stuff! You can watch the video below, or over on my YouTube Channel – don’t forget to subscribe while you’re there so that you don’t miss out on my Disney videos! It’s a great resort isn’t it? I agree on the landscaping – each area had it so fitting to the theme, and we know that Disney does that so well!